Upstream component suppliers for tablets have been gearing up their preparation of needed parts and components for models to be launched in Q3 2011. Shipments are expected to top 21 million to 22 million units in the third quarter, compared to 13.5 million to 14.5 millions shipped in the second, according to industry source cited by DigiTimes. 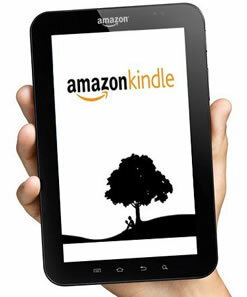 The biggest vendor apart from Apple will be a new company to enter the tablet scene: Amazon. The online retailer giant supposedly has the most positive orders, with demand for touch panels likely to reach 2 million units for the August-September period, and shipments of tablet PCs to Amazon expected to reach 1 million to 1.2 million units (a conservative estimate). Still, this is nothing compared to Apple, which is expected to receive 14 million to 15 million iPads from Foxconn in the third quarter. Last month, we heard Amazon could launch tablet models in August 2011 or September 2011, with targeted global sales of 4 million units for 2011. Quanta Computer would assemble processors developed by Texas Instruments, Taiwan-based Wintek's touch panels, and ILI Technology's LCD driver ICs. Amazon would also reportedly provide streaming movie services for users of its tablets (this is new). Two months ago, a rumor talked about two different tablets before the end of 2011: an entry-level tablet codenamed Coyote (based on the dual-core Nvidia Tegra 2 platform) and a second tablet codenamed Hollywood (based on the quad-core Nvidia codename Kal-El platform, which is likely to be called Tegra 3). Other specifications, such as screen sizes, are still unknown.